Made Of Recycled Material. Imprint Area: 1 3/8" W x 5/1 6" H Packaging: Cello Bag, 250 per carton @ 29 lbs. Compare and save. 2 oz glass cleaner, U.S. made. 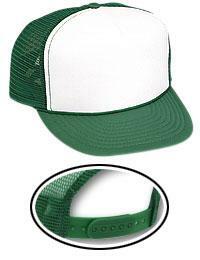 Price includes four color process laminated decal. Lamination protects your investment. Perfect for glasses, sunglasses, and mirrors. 2 ounces lasts a long time and your customers will have a clean view of your message. Dimensions : 4-7/8" H x 1-3/8" W Decal Size : 4.125" x 2.625". Classic wrap style features heavy gauge, black plastic frames and temples with dark ultraviolet-protective lenses. Imprint Area: 1/4" H x 1 7/8" W Packaging: Lenses are individually cello-wrapped. 12 pieces per box, 30-40 dozen per case. Shipping Info: Box Dimensions: 21" L x 19" W x 18" H Shipping Weight: 7.19 lbs / 100 pcs 456 pcs / box. Made Of Recycled Material. Available Colors: Blue/Black Frames with Amber Lenses. Silver with Smoke Lenses. Red with Mirror Lenses. Black with Smoke Lenses. White with Blue Mirror Lenses. Imprint Area: 1" W x 1/8" H Packaging: Cello Bag, 250 per carton @ 29 lbs. 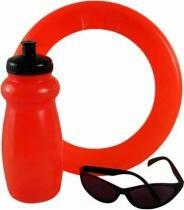 Fun kit includes imprinted Zing Ring Flyer (ZRING), Wrap Sunglasses (WSUN), and Premium Low-Density Gripper Sports Bottle (PB20) packed in a reusable mesh bag. ZRING Imprint Area: 7/8" x 22.5" circumference with 1-1/2" gap WSUN Imprint Area: 1/4" x 1 3/4" PB20 Imprint Area3 1/2" x 3 1/2" one side only Packaging Dimensions: 25"(L) X 18"(W) X 18"(H) Units Per Box: 50 Shipping Weight: 42 lbs. 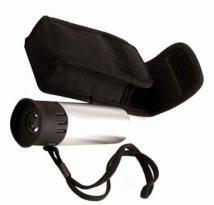 This 8 x 21 monocular features a cool silver ABS design with a comfortable eyepiece. Carrying case and cleaning cloth is included. Approximate Dimensions: 1.25" H x 3.5" W x 1.25" D Imprint Area: 0.5" H x 1.5" W. Other decoration methods are available for this item, please call. Weight: 0.237 lbs. 300 Hour Glow Spot Light 13 Super Bright LEDs ( 9 Bright White, 4 Emergency Red ) Waterproof / Floats Turns on Automatically when Immersed in Water Glow Feature in Handle Portion Flasher Mode for Emergency Signaling Storage Compartment for a First Aid Kit, Spare Change, Keys, etc. 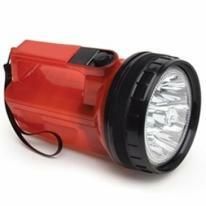 Includes 4 �AA� Batteries Max Imprint Size: .625" x 2.00"